HUGE seating comfort. 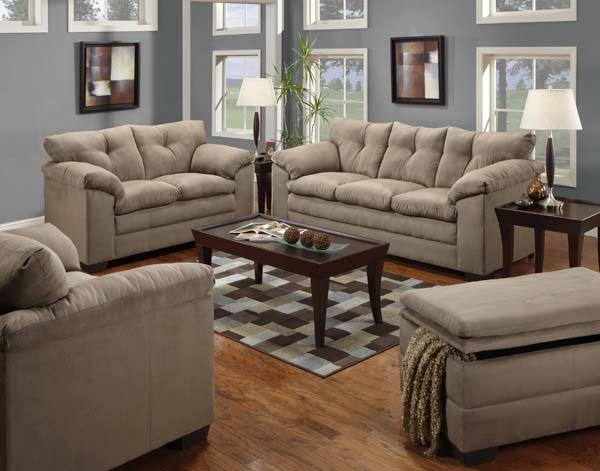 This gorgeous Luna Collection features pillow top seating with shaped block arms and arm pads. Inside tufted back and double needle stitching add an extended quality to this set, while the 8” accent leg all around completes the flair. Available in Chocolate and Mineral.